Are ghosts real? These ghost photos may have you convinced. From visible faces to eerie glowing outlines, these shocking photos don’t look your typical shadow and dust illusions. Perhaps one of the most famous ghost photos ever taken. 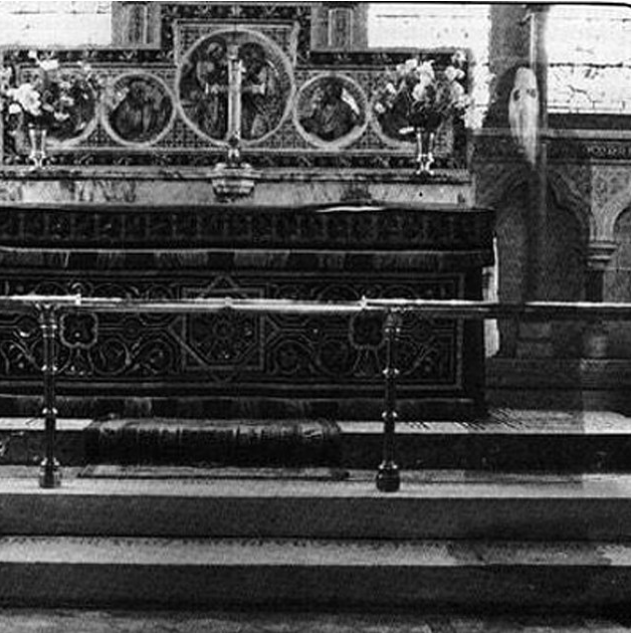 The photo shows what appears to be a ghost dressed in a cloak standing near an altar of an English church in Newby, Yorkshire. This picture was taken in 1963 by priest К.F. Lord.